When in the mid 80’s the phenomenon of AIDS started getting an exposure, homosexuals have been unfairly stigmatized as possible vectors of the Sexually Transmitted Disease. The sad evolution of the figures proved when the infected populations widened up to women & children to the society’s bigot that even they could contract the “Gay disease”. Throughout the years, luckily, the appearance of tri therapy as well as prevention campaigns towards sensitive populations helped reduce the progress of the statistics. 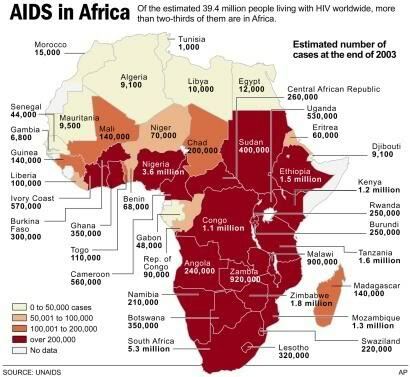 Unfortunately African Continent didn’t get as lucky as the rest of the world .When the rest of the planet was improving its prevalence rates as well as contamination statistics, vulnerable populations such as mothers & children got more & more infected to the point that some countries like Botswana lost a great percentage of its working forces sadly filling the country with more & more HIV positive orphans. In Botswana alone, 33% of the population is infected by the virus. Ben, a very close Zimbabwean friend told me he lost most of his teenage friends from AIDS. I will not go on with figures & stats are they are available all over the net & publications. Those statistics are the official face of AIDS, filling reports & hospitals. The face we see from afar as if she will never turn & look at us face to face. Personally my first physical encounter with Aids was in Nairobi in 1986 at the Hospital. I still have the image of that sick person that has been haunting me for the last 20 years. I was just a teenager, but I kept that souvenir as a testimony. But what I didn’t know is that I would lose some close friends from that deadly disease, & overall I have a very courageous Cameroonian friend who has survived all these years scrupulously taking his treatment. So this is the other face of AIDS I wanted to talk about, the face of our close friends who lost their husbands, wives or even children infected by HIV. For me,this face is also the smiling face of a strong beautiful young Lady of my acquaintances who has been infected by her late husband & lost one of her son. Her other son, aged 17 is infected like her. She does have the means to finance her treatment but it doesn’t mean she doesn’t deserve our compassion. Few weeks ago, she was invited to a party & one of those negative people who saw her with a handsome date decided she had to inform the Guy that Z. is infected with HIV. Did she have the right to involve herself in that? Especially that Z. always informs all her date of her health & proposes condoms before any sexual act. My point here is that AIDS has a face in your family or among your friends so stop doing as if it is just statistics. We as Africans are more than ever the number one actors in that tragedy. So stop discriminating, judging or condemning because tomorrow it could be closer to you than you thought. Step up in the plate & involve yourself in prevention or contribute to one’s treatment. Few condoms distributed to your home staff or financing a local NGO doesn’t cost much but it will sure make a difference.